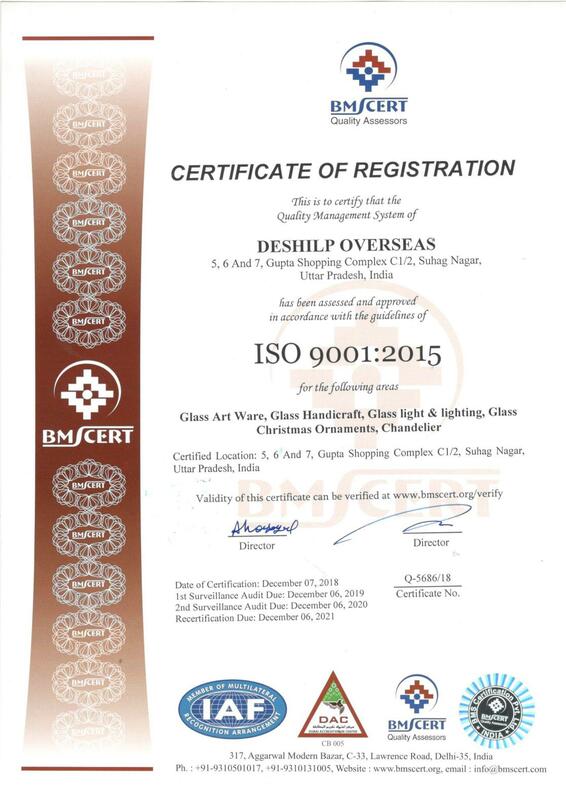 We are newly developed company but we assured out that we will definitely do our best to serve your desired need pls try to give us response one time so that we both together make new business relation ship kindly provide us at least once service.We are manufacturer of different kind of glassware and kitchenware. We are manufacturing wide range of the following items as per buyer requirement in different sizes, shapes and colure, we also do decoration work on these items by glass beads, mosaic etc. Items are glass candle holders, votives, bathroom accessories, flower vases, glass bottels, glass crystals for decoration and chandelier, lamp shades, hangings, garden lites, etc. Kindly let us know about the area or the item you are interested in so that we can send you our current samples photos etc. Please send your requirement with full detail so that we can send samples and photos to you. We believe in OEM & ODM services for our valuable buyers. 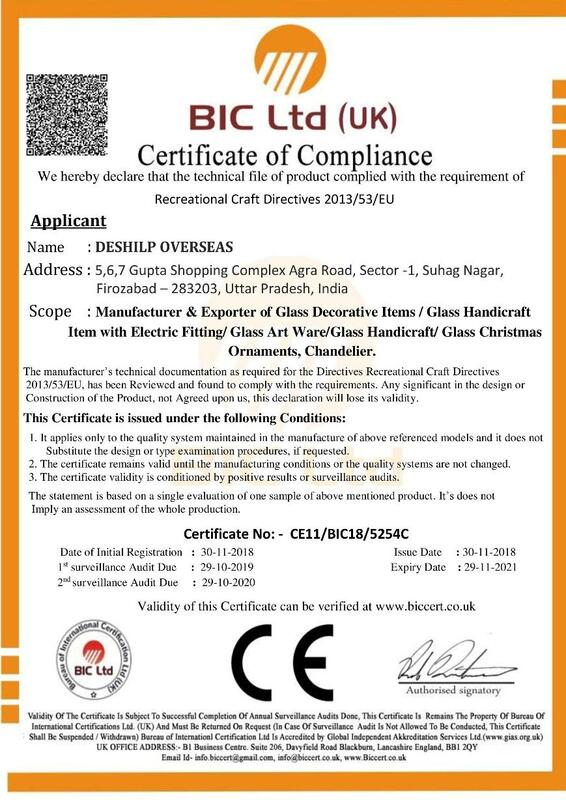 Manufacturer & Exporter of Glass Decorative Items / Glass Handicraft Item with Electric Fitting/ Glass Art Ware/Glass Handicraft/ Glass Christmas Ornaments, Chandelier.